You can contribute too. If your organization’s stream gauge data is on the web, let us know and we will do the rest. Simply e-mail the URL to streamgauges@esri.com. 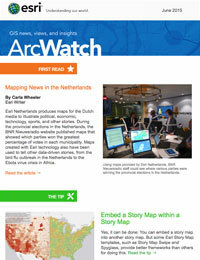 If you would like to share other types of authoritative content with the global GIS community, e-mail communitymaps@esri.com.